After the liberation of Aleppo by Syrian government forces, many residents still live in dire conditions while the International Committee of the Red Cross is trying to help restore key services, an ICRC spokeswoman told RT. 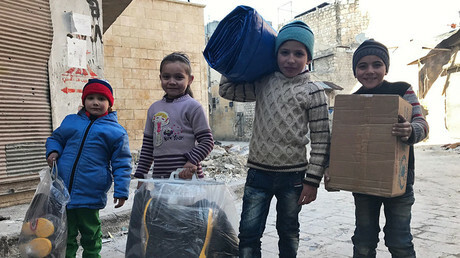 Many Aleppo residents still have to live in the poor conditions of makeshift shelters allocated in mosques and schools as they cannot return to their homes located in the neighborhoods that were severely damaged during the battle for the city, Krista Armstrong, ICRC spokesperson for Middle East, told RT. At the same time, she stressed that humanitarian access to the city has been significantly eased now, after it was fully retaken by the government forces. She also added that the aid groups were finally able to get access to the eastern parts of the city, which they could not reach for months, when they were held by the militants. 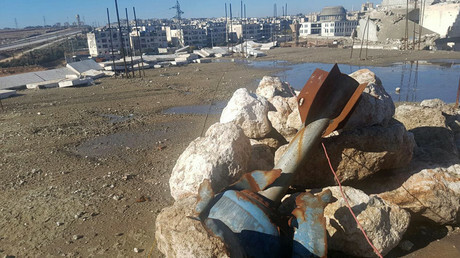 RT:Russian soldiers have discovered a mass grave in the area of Aleppo, which was held by the militants until recently. How likely is it that the UN will be investigating what has happened there? Krista Armstrong: I cannot comment for the UN. What I can say for the ICRC is that we are present in Aleppo, we have our office there. Although we do not have access to this particular area, we are aware of these reports and take them extremely seriously. Under International Humanitarian Law, human remains must be treated with dignity, the families must know what happened to their loved ones ultimately. RT:Following an attack on the Russian mobile hospital in Aleppo, the ICRC condemned that strike that killed several Russian doctors but there was little condemnation from other western leaders, who were quick to condemn several attacks by other sides. Why do you think that is the case? KA: I cannot comment on others’ reactions. What I can say is that healthcare in Syria, in Aleppo, including the attack [on Russian military mobile hospital], has too often come under fire. Medical teams were not safe to do their work, to respond to the needs of civilians, of people and many wounded – just the healthcare staff has not been safe to do their work and have come under fire way too much in Syria. RT:What is the situation in Aleppo now, following the takeover by the government forces? KA: There has been some [let up] in the fighting in Aleppo but the needs are absolutely huge. There have been tens of thousands of people, who fled just in the past two weeks, and tens of thousands more, who had fled beforehand and are now seeking shelter in all sorts of places such as mosques and schools. People desperately want to return to their homes as soon as possible. We are working in some of the areas, we do not have access to all areas of the city yet but we are working in some areas, which suffered huge damage to key infrastructure and people’s homes. However, people are starting to return there. What the ICRC is doing together with its partners and the Syrian Arab Red Crescent is providing some assistance, including food and key supplies. In a longer term, we want to restore key services. We are already doing it in terms of electricity and water systems. We also help people [recover]. It is winter, it is really cold right now. People fled in a chaotic situation, some of them lost contact with their families so it is important to restore contacts and try to trace people. The needs are huge and this situation will last for a long time. 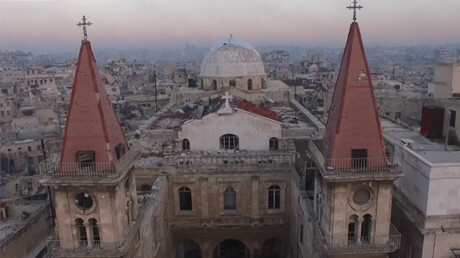 RT:Access to Aleppo was difficult for humanitarian agencies before [the government takeover], although multiple NGOs wanted to get into the city. Now, the access is much easier. Will that allow humanitarian aid agencies to be more effective in helping residents? 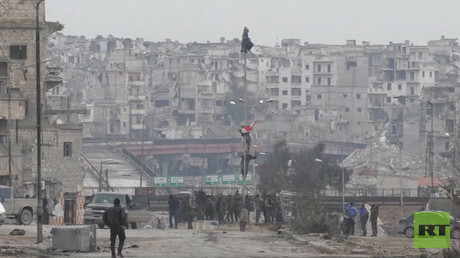 Do you plan to go to the eastern part of Aleppo now as it is under government control? KA: We have not been able to access eastern neighborhoods since April. It was a huge challenge in terms of responding to needs there. We provided bulk supplies at that time, which ran out over the past two months. At the moment, we see our access increased. In the past few weeks, we were able to get access to some neighborhoods that have been severely damaged and we hope to continue to get to other areas. Looking after people returning to those areas will be our key priority. [Humanitarian] access to [various area] is crucial not only in Aleppo but also in many parts of the country. We have seen some improvements in the access to some besieged areas this year too with about 55 convoys that crossed the frontlines. However, we absolutely need to see regular unimpeded humanitarian access that must be separate from political process so we can respond to people’s needs and just help them. RT:Let’s talk about the US-led operation in Iraq, in Mosul, which is now under way in a densely populated city. What humanitarian impact do you expect there as that operation goes into the actual suburbs and fighting intensifies? KA: As fighting intensifies in the urban areas, in an area where there is a very complex network of infrastructure, of key services, it is important that all parties do their utmost to respect civilians, civilian households, civilian buildings, medical structures etc. It is extremely difficult for the people, who are living in the affected parts of the city, it will be very frightening for many. They face very difficult choices: whether to flee their homes and brave a very unsafe and uncertain journey or to hunker down and stay home while the fighting goes around them and that is also frightening for them. Some people are caught on the frontlines between different parties Getting safely to medical facilities can also prove very difficult. As fighting intensifies, people are probably more likely to move so the needs will increase. We will need to respond fast, especially to the people’s medical needs. That is why we support hospitals and surgical teams nearby to help respond to the needs of the wounded that are increasing. RT:Aid agencies have been warning for a while now how the operation could impact the current situation and cause a humanitarian crisis. Is that being taken into account fully by the members of the coalition and the Iraqi government that are retaking the city of Mosul? KA: We have a direct and bilateral dialogue with all parties and we seek a dialogue with all parties in this context. We see now that about 115,000 people have been displaced as the operation is ongoing and we keep a dialog with all parties with regards to this. 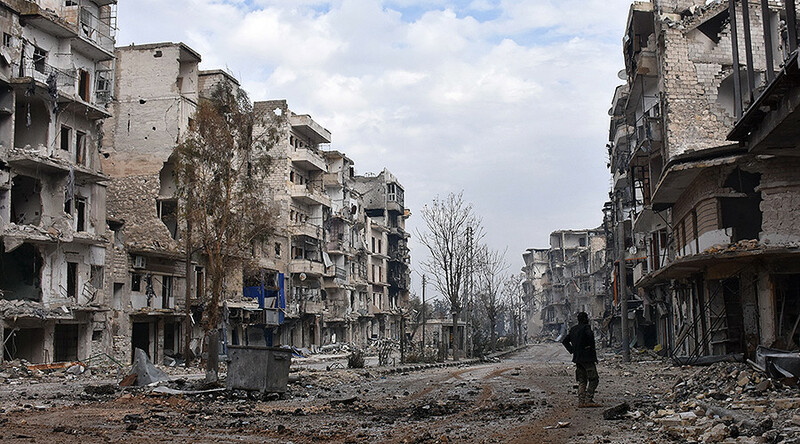 Civilians must be able to flee, there must be safe passages for them to leave the city when they choose to do so – and those who remain must be obviously protected. Those who are detained or captured must also be treated with dignity and respected. We will keep reminding about the importance of these matters publicly to all parties.